Yesterday Governor Wolf announced that 36 postsecondary institutions in Pennsylvania were awarded grants of up to $30,000 to address and combat campus sexual assault. The grants will help the selected colleges and universities implement strategies and programs on their campuses that follow the goals of the Governor’s It’s On Us PA campaign. You can view the list of grantees here. Take a look at the additional coverage. 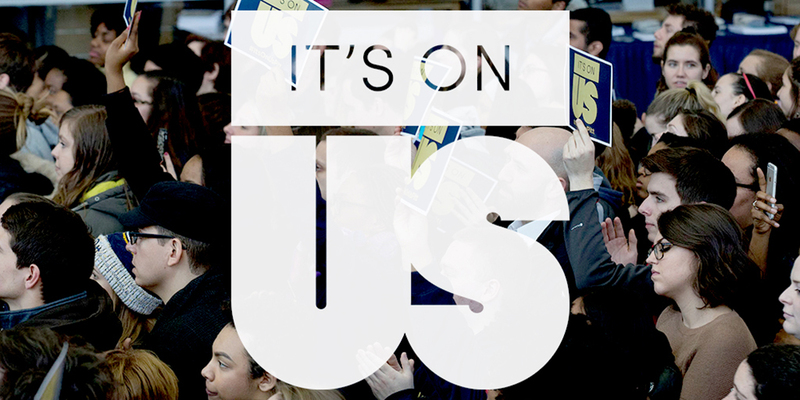 Thirty-six colleges and universities in Pennsylvania were awarded $1 million in state grants to fight sexual assault on campus, a first-ever for Pennsylvania’s “It’s On Us” campaign. The schools – which include Temple University, Drexel University, Chestnut Hill University, Juniata College and many others – will each be given around $30,000. The money will be used for the three-part goal of the campaign, which hopes to improve awareness and prevention, crack down on barriers that prevent survivors from reporting their assaults and to improve leadership, Gov. Tom Wolf’s office announced Tuesday. Four area institutions of higher learning nabbed a collective $98,795 in state grants intended to help curb campus sexual assault. Gov. Tom Wolf announced the state’s first “It’s On Us PA” grants Tuesday, giving nearly $1 million to 36 institutions statewide. The competitive grants can be used for programs such as training for students and staff, improving the reporting process, making it easier for victims of sexual violence to report attacks, and changing campus culture. Pennsylvania Gov. Tom Wolf has pledged $1 million to help fight sexual assault on the state’s college campuses. Sixty schools applied for grant money and 36 of them received it, including Northampton Community College. Misericordia University is among 36 postsecondary institutions of higher education in Pennsylvania awarded nearly $1 million collectively from the inaugural “It’s On Us PA’’ grant program to address campus sexual assault. Misericordia was awarded $25,400 from the grants program to implement strategies on campus to address the goals of the governor’s campaign. More than 60 applicants competed for funding. The grants were selected using a blind evaluation process by a team assembled by the Department of Education.